We were founded in 1968 by two great friends Martin Carroll and Steve Beeches. Today the running of the company is undertaken by Martin’s son Piers and Steve’s brother Kevin, ensuring the all important family ties, expertise and dedication remain firmly in place. Over the years we were solely dedicated to Airfreight logistics and all that entails, such as secure vehicles, highly trained staff to aviation security standards, aircraft engine movements, vehicle monitoring through cutting edge technology and A.O.G. reactive work. Utilising this knowledge, our specialised vehicles and fully trained staff, we have found some natural synergies to complement airfreight, so a large part of our business now incorporates other highly specialised logistics, such as high value security loads, temperature controlled movements, hanging garment carriers, nationwide airside capabilities, art logistics, events work and dedicated European haulage. 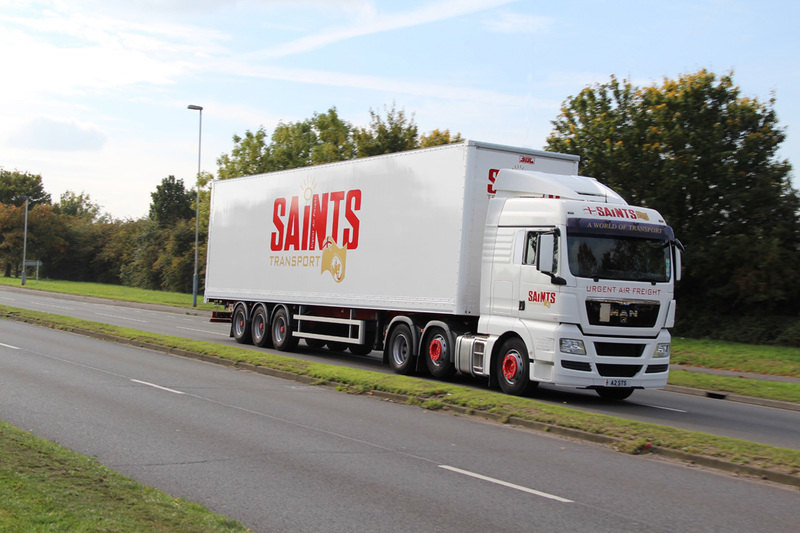 As such we are now the largest privately owned airfreight haulier within the UK, with a staff of 350, a fleet of 200 vehicles and we currently enjoy a turnover of some £25,000,000 per annum. Although a very large, professional and corporate organisation, we are still very much a family business at heart, ensuring we treat our customers and staff as friends to assist and not just figures on a spreadsheet to appease faceless shareholders. As a true family business, we ensure we maintain the simple, yet unswerving ethos that has served us so very well over the years, and that ethos is very simply – the customer is king. If nearly 50 years of doing this has taught us anything – that is definitely the most important. All content © Saints & its clients 1999-2019. All other trademarks acknowledged.